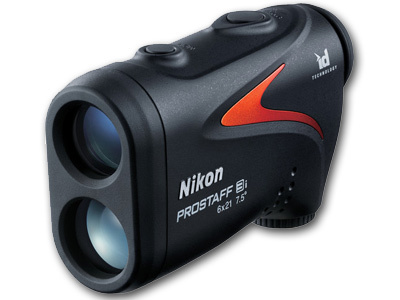 The technology starts with Spot On Ballistic Match which is calibrated to work with Nikon's BDC reticles. Next, Tru-Target Ranging technology enables users to choose between two different ranging modes depending on the situation. First target priority mode allows you to range an object as small as a fence post while distant target priority mode displays the range of the farthest target among a group of targets measured. Finally, the ID system uses a built-in inclinometer to measure the angle to the target, then takes the range to the target and provides an adjusted distance for users to accurate gauge the shot. Beyond the ranging capabilities the Prostaff 3i can pull double duty as a competent 6x21 monocular, and with the anti-reflection multicoated optics views are bright and clear. Its impact-resistant housing is ergonomically designed for a comfortable hold, and the control buttons are strategically placed for ease-of-use. The wide operating temperature range and IPX4-rating allows it to be used in all but the most extreme conditions, and the compact form-factor measures a mere 4.4" long to be easily carried in a pocket. Box Dimensions (LxWxH)	6.457 x 4.961 x 3.701"